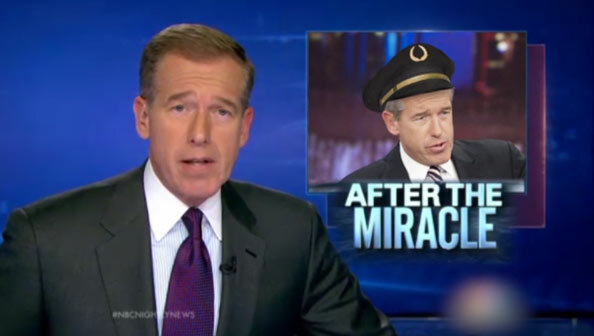 Yesterday, we noted some photo tweets poking fun the the Brian Williams #BrianWilliamsMisremembers scandal that’s rocking NBC News. The tweet included historical photos that were Photoshopped to include Williams’ face. Well, Conan O’Brien’s production team has proven itself just as good with Photoshop — and audio editing. We’re also reminded of this clever clip from 2011 when Conan reported on the new “NBC Nightly News” set.